The former first minister Ian Paisley has been moved out of intensive care at the Ulster Hospital in Dundonald where he is being treated for heart problems. A family friend said he was making "steady progress". He was admitted to hospital 12 days ago and his family requested privacy during what they described as a "difficult time". 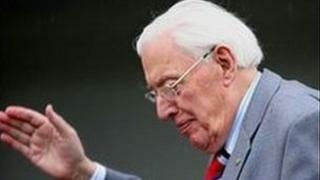 Lord Bannside, who is 85, stood down as first minister in 2008 and ended 60 years of full-time ministry in January.